In the past two weeks, I've had two computers crash (work and home), which meant getting them fixed/replaced... then the usual end-of-semester craziness happened, HNR reviews started pouring in, and my copyedited manuscript arrived, due back right after the holidays. I haven't had any time to blog. But I hope to make up for this long silence by providing a preview of some exciting-sounding forthcoming titles. Given that it's 20 degrees out with a sheet of ice coating the driveway, I figure this is the perfect time to look forward to next summer. Why not? The following information comes from publishers' catalogs and from Amazon. Cover images and pub dates are subject to change, but this is the latest info I have. They're listed alphabetically by author. Literary psychological suspense set in Edinburgh in 1763, in which John Boswell plots to take murderous revenge against his older brother, James, and Samuel Johnson, author of the famed dictionary, for presumed slights. Soho, May. Literary Southern Gothic about a 19th-century Bostonian woman who finds mystery at her late grandmother's former home in Louisiana. Previously independently published in the US, this novel was released in 2006 by Snowbooks (UK) and will soon be available again for the American market. The Berkley catalog also indicates that her Sand Daughter , which sees the Crusades from the viewpoint of a young Bedouin woman, will be out in October (great news; it's an excellent novel). This one's out from Berkley, August. A young married woman finds her life transformed after she's charged with ensuring proper conduct at the Egyptian belly dancing exhibition at the 1893 World's Fair in Chicago. Berkley, July. First in a new series of historical mysteries set in Berlin during the rise of the Nazis, and featuring hardened crime reporter Hannah Vogel as detective. From Forge in May. Two sisters of Syrian descent grow up in 1920s Cairo, a land rocked by violent anti-British demonstrations. Telegram, June. Miss Susan Rose, a plucky lower-class woman in Victorian England, becomes a professional wet nurse and discovers her new employer's home harbors sinister secrets. Putnam, August. Picks up the story of Lydia Ivanova, heroine of The Russian Concubine, in 1929, when she learns that her father--thought killed by the Bolsheviks--is imprisoned in Stalin-controlled Russia. Berkley, June. A novel about Emily Brontë, her family, and her unconsummated romance with William Weightman, an idealistic clergyman who champions poor mill workers' rights. Norton, July. A biographical saga about, you guessed it, John the Baptist, drawing on both ancient and modern sources. Literary historical fiction. From Norton, June. Based on the title, I guessed the subject was Hatshepsut, but this is a biographical novel about Ankhesenamun, the newly widowed wife of the murdered Tutankhamun, who proves willing to marry her country’s ancient foe in order to save her crown. Kunati, May. A woman who prefers to live a simple life in her small Puritan community in colonial Massachusetts finds that her beauty attracts attention from the town's wealthiest bachelor. Mitchell's Chateau of Echoes , about a widow who finds the journals of a 15th-century noblewoman after she purchases a chateau in Brittany, is well worth reading. Bethany House, June. Biographical fiction about poet Elizabeth Barrett and her secret romance with Robert Browning. Though published by a Christian publishing house, Moser's novels aren't preachy and can easily be enjoyed by mainstream readers. Bethany House, June. I've been waiting to read the next Silver Rush mystery ever since Iron Ties was published in 2006. No hint on the storyline yet, but these are meaty historical mysteries set in the silver mining boomtown of Leadville, Colorado, in the 1880s. Try them even if you think you don't like westerns. Poisoned Pen Press, July. The long-awaited new historical novel from Pears, author of An Instance of the Fingerpost (which I thought was brilliant). Another doorstopper at 880pp, Stone's Fall moves backward in time from 1909 London to 1867 Venice as it uncovers the mystery surrounding the death of a wealthy financier. Spiegel & Grau, May. Pell, a young woman in 1850s rural England, flees her home on horseback on the day she’s to marry her childhood sweetheart, and heads for the Salisbury Fair. Viking, August. The third of Scott's biographical novels about the mistresses of Charles II, each told in her own voice. This entry covers Louise de Keroualle, Duchess of Portsmouth. NAL, July. Debut novel from a Woolf scholar that imagines the lifelong relationship between sisters Vanessa Bell and Virginia Woolf from Vanessa's point of view. If you can't guess from the cover art, this is literary fiction. Houghton Mifflin, May. The story of two ladies-in-waiting to Queen Elizabeth I... Lady Katherine Grey (yep, Jane's younger sister) and Mistress Mary Rogers. The first mainstream historical in a while for Westin, whose most recent works have been Restoration-era romances ( Lady Anne's Dangerous Man , etc). NAL, August. Definitely some great stuff here! Thanks for the list! Thanks Sarah. A wonderful list of titles to look forward to! I think I prefer this sort of list to the "backward-looking" best of 2008 type! Have a wonderful Christmas when it comes. 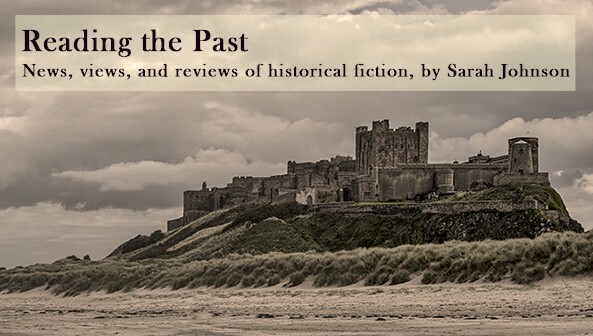 2009 is looking good for historical fiction! Didn't know Ian Pears had a new one coming out. And I like the look of the one on Emily Bronte. Thanks for the heads up. PS--Can we call a moratorium on covers with headless women on them? Thanks all... and hope you have a great Christmas too, Lucy! I'm with you, Katherine, on the headless women covers. Alas, we are in the minority. They really do sell books, so publishers will keep using them. Hello books...meet wishlist! Thanks for all the info! There are some really interesting titles here. I can hear my TBR list growing as I type this. Thanks for the information. I just found your blog and think I'm going to be a regular visitor from now on. Thanks for your comments, and glad you're enjoying the blog! My reading list just grew another inch longer. Thanks for posting these upcoming titles. And thanks, also, for your kind words on my Silver Rush mystery series! BTW, I just got the official word: the third book (aka "Lead into Temptation") will actually be called "Leaden Skies." Hi Ann, thanks for the update! I'm sure it will be a terrific read whatever the title happens to be. Thanks fior this. Lots to look forward to! What a great list - lots of interesting titles there. love these previews. You're my source for all things new in the HF world! I'm excited to have found your blog (thanks to DeAnna Cameron). I love historical fiction. Shauna, thanks for your comments! I just found your website - ancient Mesopotamia sounds like a fascinating setting. Can't wait for THE BELLY DANCER!! Great list! I mentioned this post on my blog here.